Nightclubs Tour in London ? VIP Bus Party Hire always strives to be the best for Nightclubs Bus Tour in London. The Management Team have been supplying VIP Club Entry & VIP Transport Services in London since 1988. 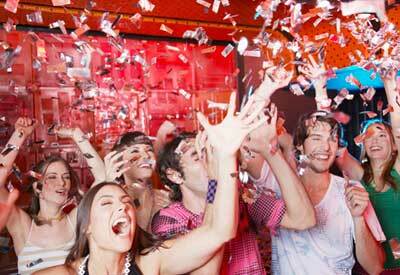 One of our most popular Services is the FREE ENTRY Nightclubs Party Bus Tour. Our staff will be delighted to assist you and your Guests with FREE ENTRY into FOUR TOP Central London Nightclubs on the same night. We know exactly what our Customers want and we put all of our energy into providing a Top Class VIP Service they deserve. Our success rate with the Nightclub Tours is virtually 100% Satisfaction based on the Quality Customer Feedback that we get. • FREE Nightclubs Entry for your Group is included. • FREE ENTRY into all 4 Clubs means NO club entry tickets to pay for !